The Forerunner brand of ATV tyre is manufactured in China by the Qingdao Qihang Tyre Co. Formed in 2000 and making fast progress they now manufacture tyres for the Agri, Construction, Truck, Trailer, Forklift & OTR sectors. The majority of their products carry the China CCC and American DOT certifications. Based on the principles of high quality at a reasonable price the Forerunner tyres delivers great performance without breaking the bank, and is a popular brand in both North and South America, Europe, Australia and Asia. The Forerunner AT-808L tyre features the classic knobbly pattern, that allows good traction on both hard or loose terrain. 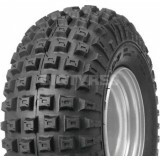 The Forerunner AT-808L tyre is for use on ATVs and ATV trailers. 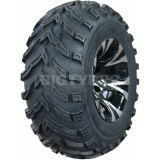 The Forerunner Knight tyre offers a proven zig-zag tread design for quad bikes and ATVs a like. This style of tread design is excellent for providing off-road traction, especially when moving through loose ground and mud, and the Forerunner Knight tyre goes further by adding a high-grip textured pattern to the shoulder area of the tyre. 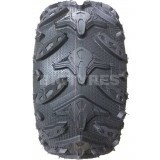 The Forerunner Mars tyre is an off-road quad bike and ATV tyre with an aggressive chevron tread design. The offset chevron lugs of the Forerunner Mars tyre provide excellent self-cleaning along with great off-road traction. The Forerunner MassFX Grinder tyres have a 6-Ply rated tyre carcass for unmatched strength and flexibility. The revolutionary lug design of the Forerunner MaxxFX Grinder tyre provides extra sidewall protection and offers exceptional braking control. The tyres feature a negative space texture which has been developed to improve traction and stop rock and mud build up between the tread lugs. the Forerunner MaxxFX Grinder tyre is made using a dual compound construction which helps boost the tyre lifetime.